Visit to Hong Kong Exchanges and Clearing Limited (HKEX) Connect Hall. 49th Congregation. 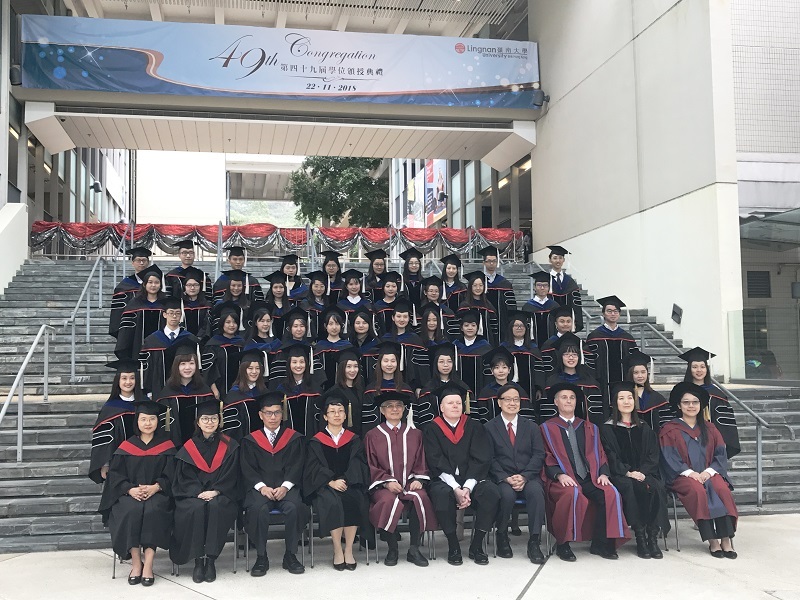 Congratulations to our 2017-18 graduates. MAcc18-19 students attended the Business Communication Seminar by Mr. Allan Lee. 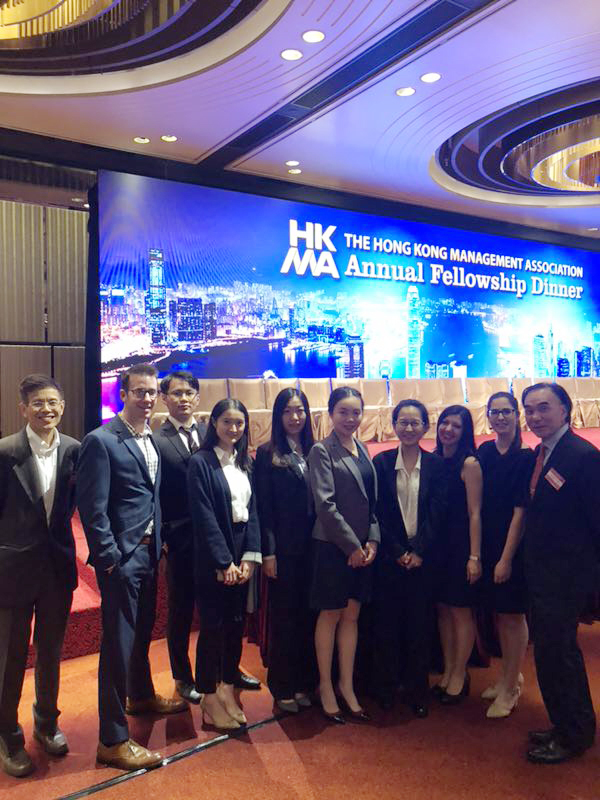 MAcc students participated in the HKMA Annual Fellowship Dinner with other professors and students. Visit to Legislative Council Complex. 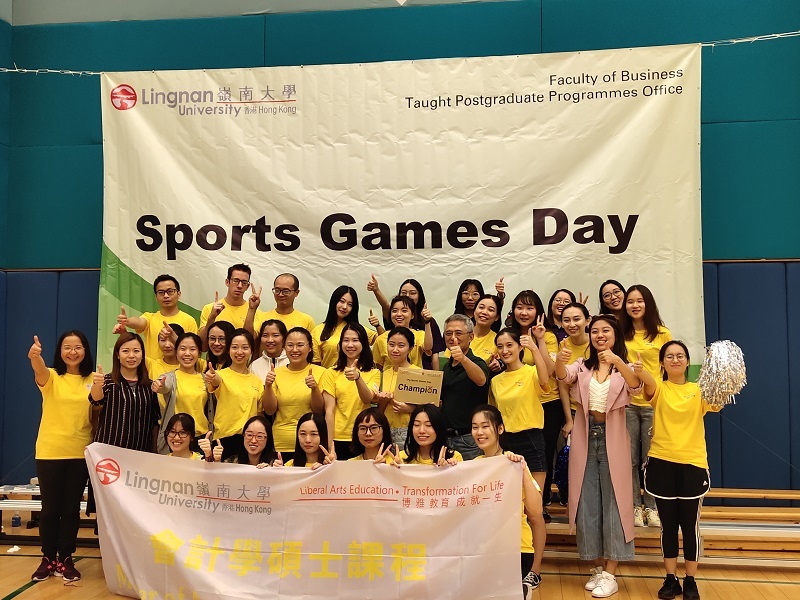 MAcc18-19 students joined the annual “Walking with Lingnanians” Fundraising Walkathon. The 2nd TPg Sports Games Day - MAcc class won the Champion with excellent teamwork. 2019/20 Application is Open Now! 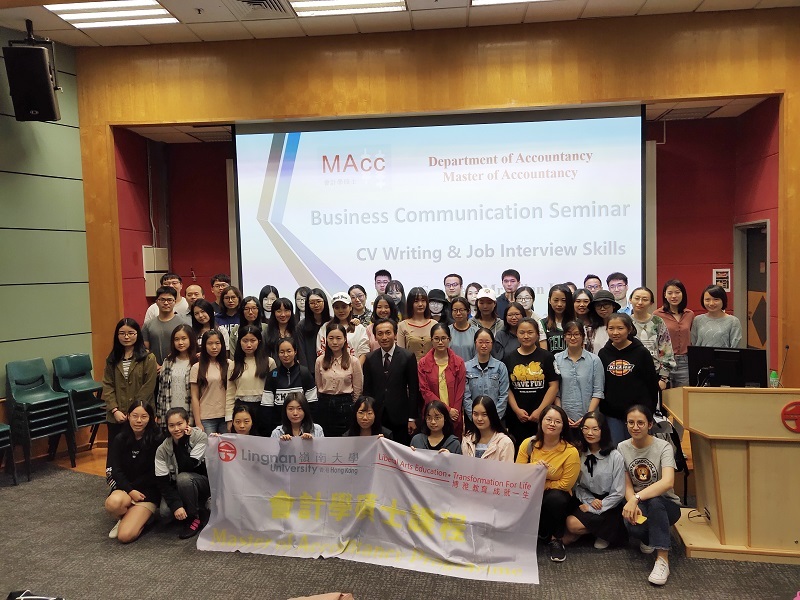 MAcc18-19 students attended Business Communication Seminar on 15 November 2018. MAcc18-19 students visited HK Monetary Authority Information Centre on 2 November 2018. 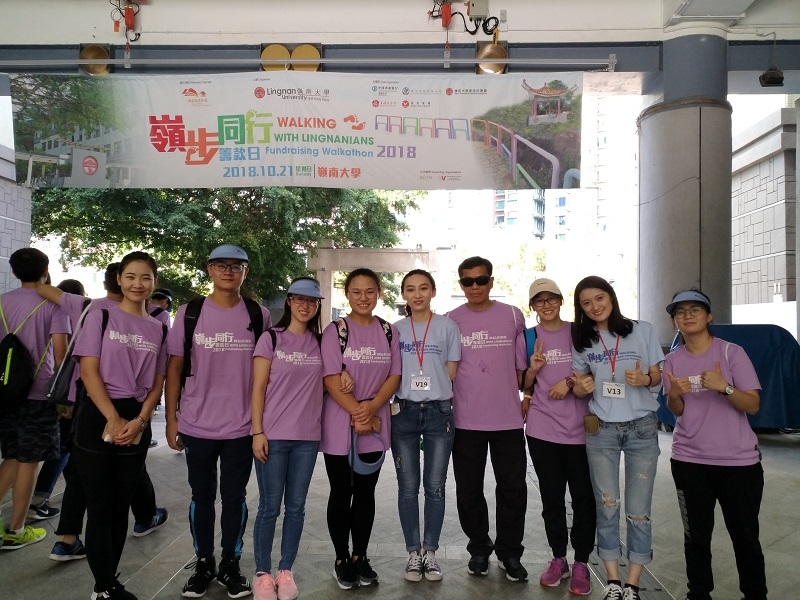 MAcc18-19 students joined The annual “Walking with Lingnanians” Fundraising Walkathon on 21 Oct. 2018. 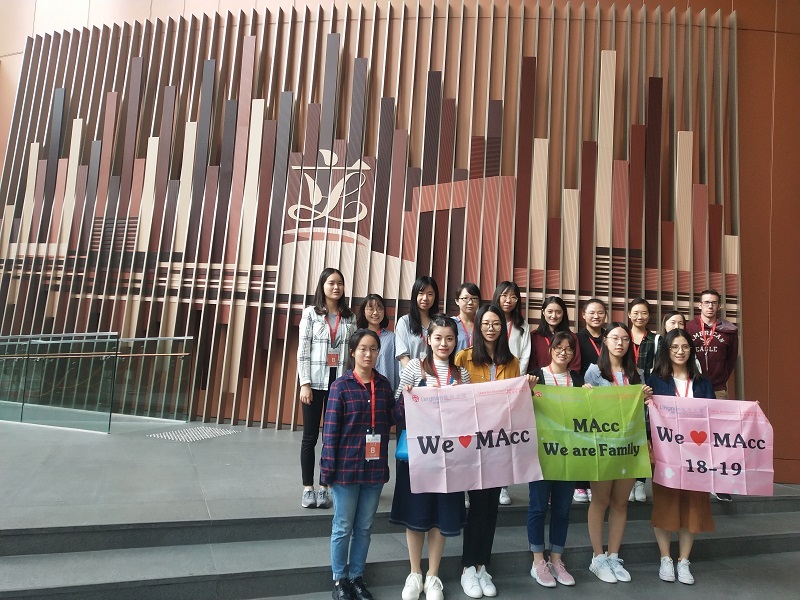 MAcc18-19 students visited Legislative Council Complex on 16 October 2018. 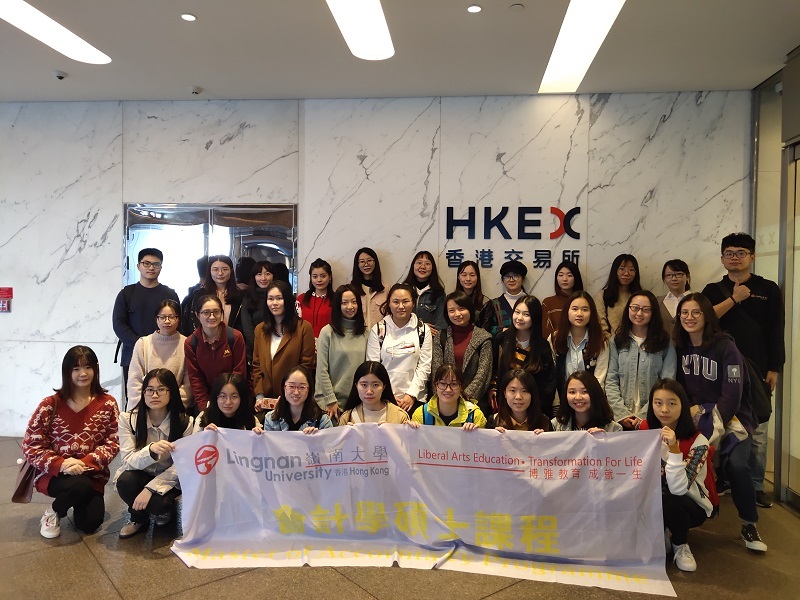 MAcc18-19 students visited Li, Tang, Chen & Co, a local CPA firm on 27 February 2019. MAcc18-19 students attended Accounting and Data Analytics Seminar on 28 February 2019. MAcc18-19 students attended the seminar by Mr. Philip Hung of PwC on Tax Investigation Practices in Hong Kong Seminar on 7 March 2019. MAcc18-19 students attended Career Seminar on Accouting Profession on 28 March 2019. 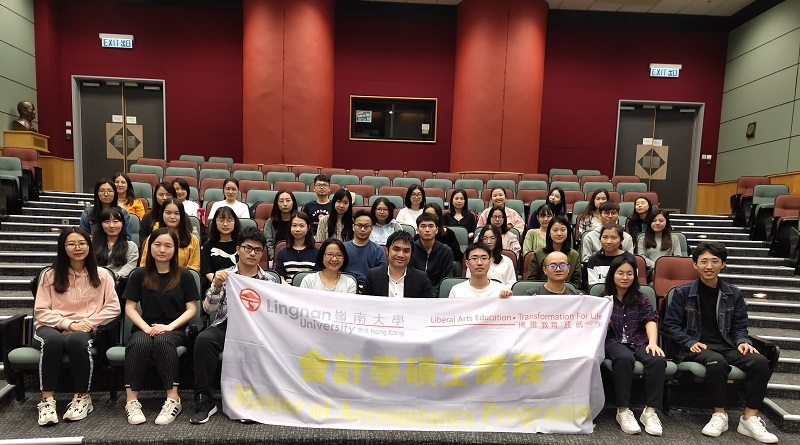 MAcc18-19 students visited 中科領域科技（深圳）有限公司on 4 April 2019. 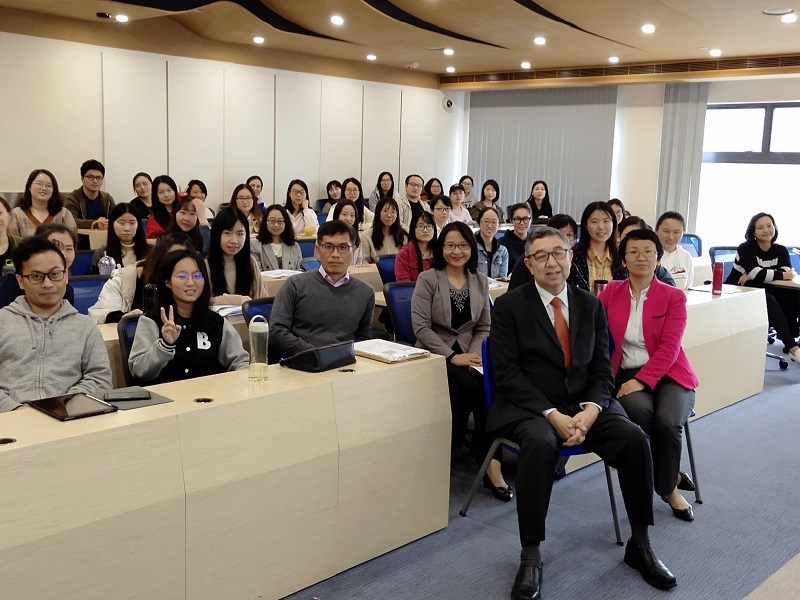 MAcc18-19 students attended the seminar by Mr. Mr. William Wong of KPMG on Transfer Pricing Practice in Hong Kong / China on 11 April 2019. Dinner for Graduating TPg Students 2019.